It’s been an exciting month for us so far, Andrew and I have just got back from GDC 2015 in San Francisco and in a few days we’ll be exhibiting Unbox at Rezzed! 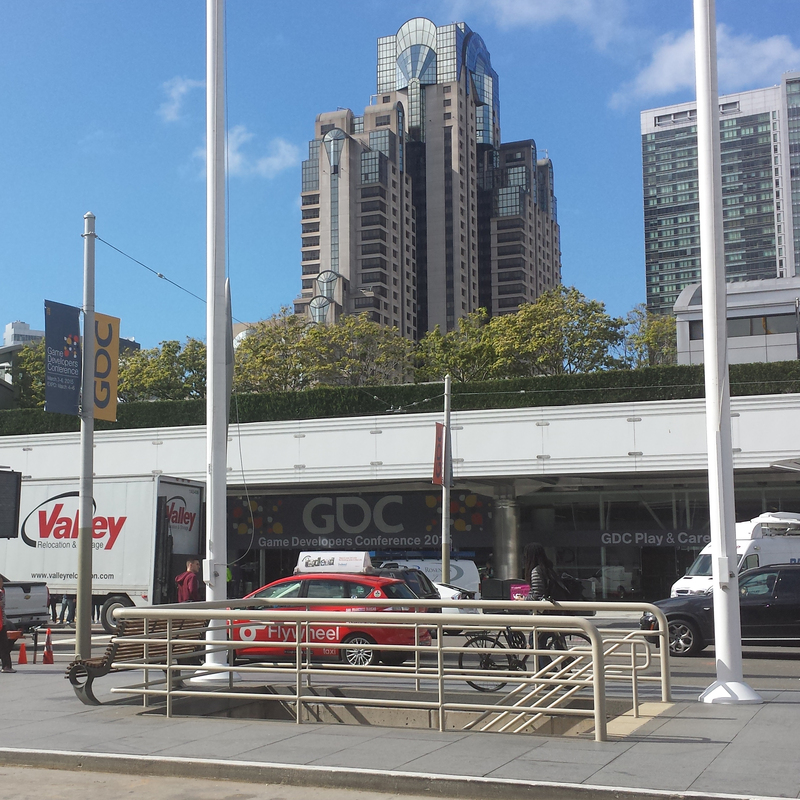 The 2015 Game Developers Conference in San Francisco was fantastic, we met loads of awesome people and managed to show the game off a little. The event had it’s fair share of big announcements, biggest for us being that Unreal 4 is now completely free! Aside from that it was great to hang out and do touristy stuff with Ashley Stancil and Samuel Read of Hypersloth (developers of Dream)! If you’ve not seen the game before, Unbox is a crazy platformer where you play as a sentient cardboard box, hell bent on delivering itself to a destination. Jump, Unbox (essentially a double jump mechanic with limited uses) and fire rockets at your friends in Split Screen multiplayer. Unbox was originally made for the Unreal 4 December Gamejam, but we decided that we liked the idea enough to finish it! If you’re going to Rezzed then be sure to drop by the stand and play the game, we’ll be demoing it in four player mode so come and join the carnage! If you want to follow the progress of the game and get more frequent updates follow @ProspectGames as well!